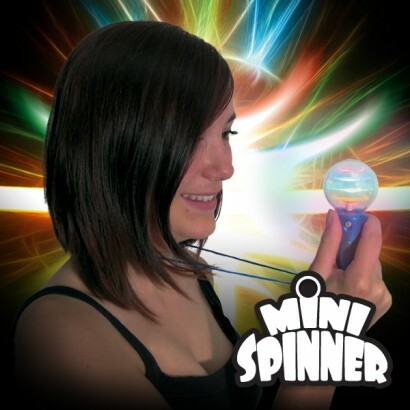 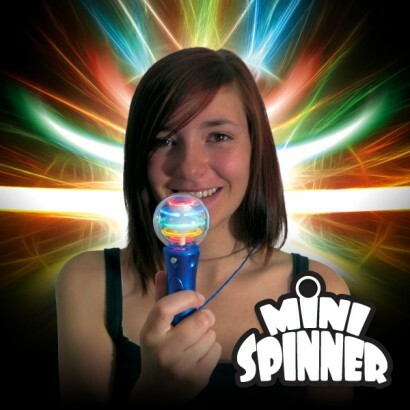 See colourful circles of light appear inside the disco ball head of the Mini Spinner necklace for hypnotic light effects! 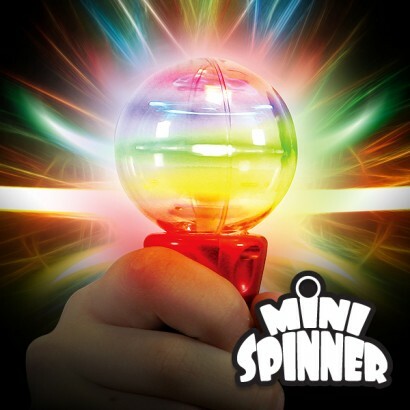 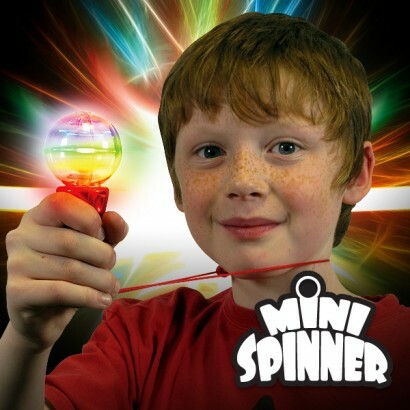 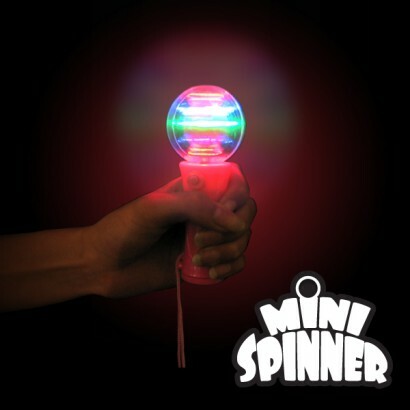 Press and hold the button on the Mini Spinner and red, blue, yellow and green LEDs will rotate inside the ball creating endless circles of colourful light! 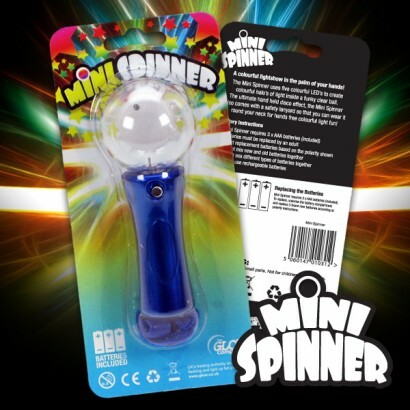 Each mini spinner comes on a break away safety lanyard making them easy to wear, and their mesmerising effects make them fantastic for not only parties and events, but for sensory use too!